Don’t settle for static reports, dull PowerPoint presentations and dry meetings. Tell compelling stories with your data. 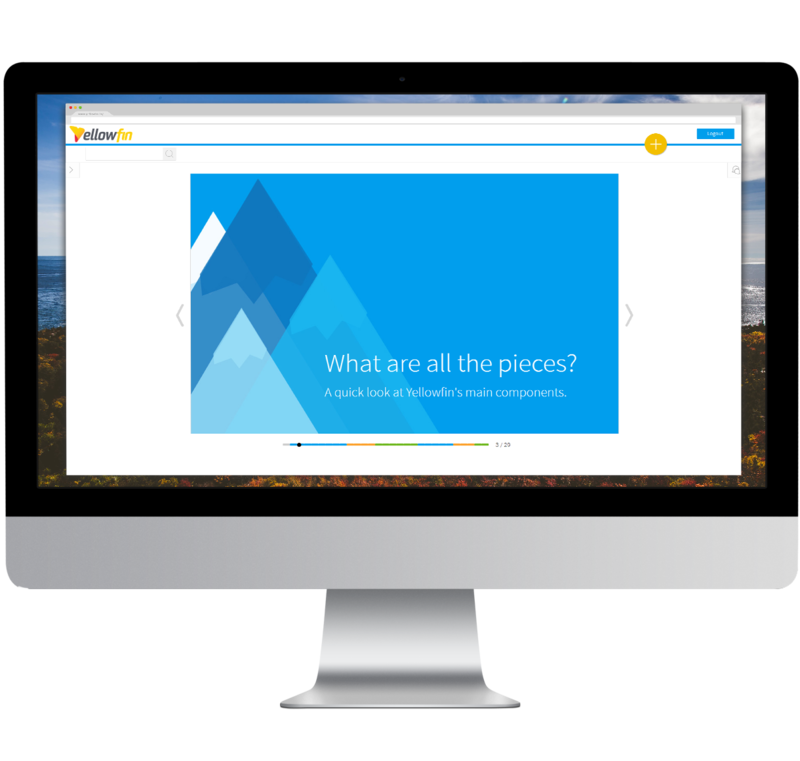 Communicate the significance of your data-driven insights with Yellowfin's fully integrated presentation module, Storyboard. 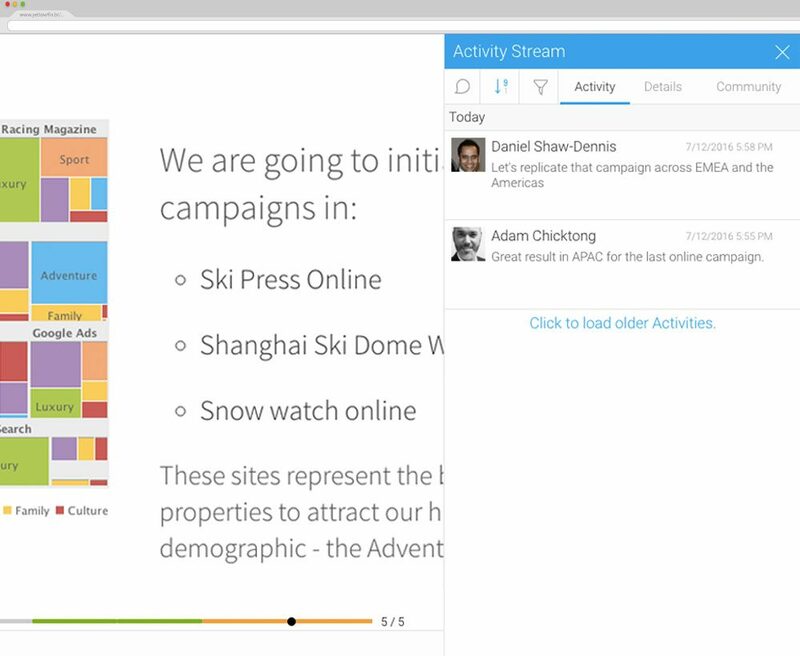 Combine live and interactive reports with custom text, images and video to engage your audience. Designed with mobile analytics in mind, Storyboard lets you share powerful presentations with anyone, anytime. Never have that monthly deck go out of date. With Storyboard, you can embed live reports that are updated in real-time. Avoid spending those final days of every month reconstructing your deck. Use live content that's always up-to-date. Create persuasive and engaging presentations for your audience. 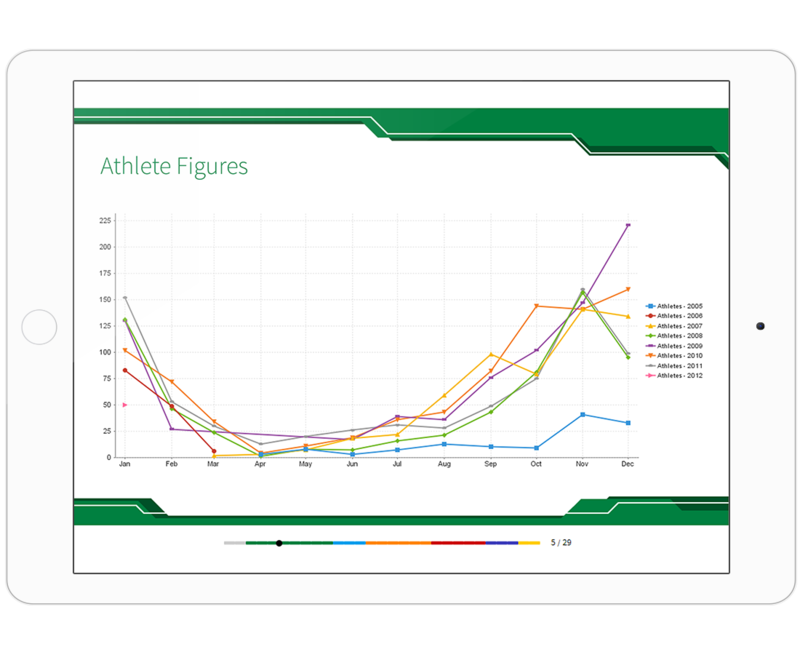 Quickly combine rich, interactive media, as well as images and custom text, with live reports and intuitive navigation. Yellowfin's Storyboard functionality was specifically designed for mobile delivery. Take your Storyboards with you to deliver and share powerful presentations anywhere, anytime. See an issue, or want to flag a page for further discussion? Storyboard lets you comment on and bookmark content, adding another collaborative and interactive element to your presentations. Even snapshot reports at a specific point-in-time from within Storyboard.